Dear friends! This might be my last post here as I will be away from blogging for a while. Not sure, if I'll be back again or not! In a couple of weeks, a new chapter in my life is about to begin. New place, new relations, new responsibilities! I'm going through lots of emotions at the moment ... happy, worried, excited, scared and nervous about this special day of my life. 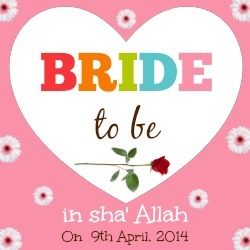 I am hoping, in sha' Allah ( by the grace of Allah ), this new life will be filled with love, laughter, happiness and respect. 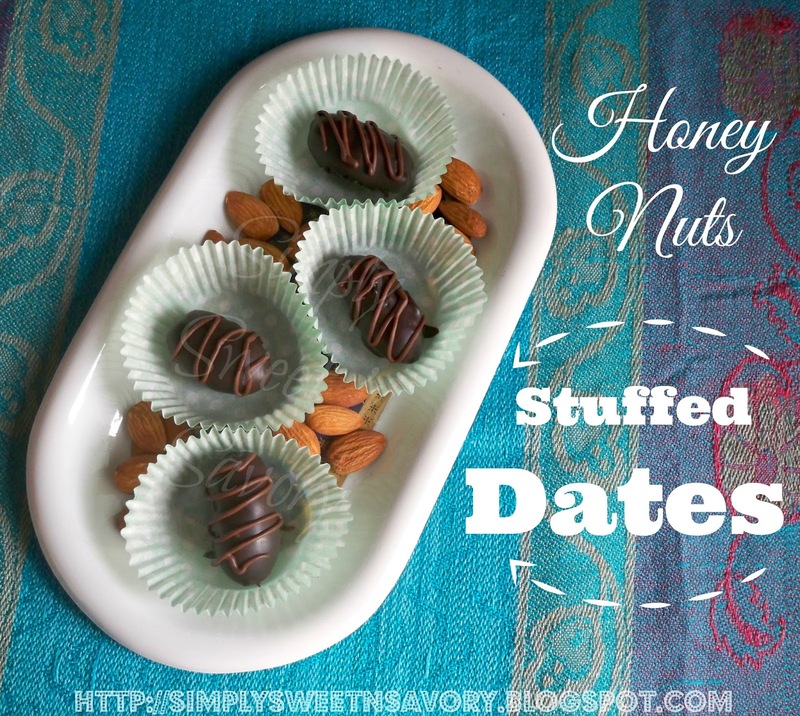 Honey Nuts Stuffed Dates ... Simply made by stuffing fresh dates with a mixture of nuts and honey; and dipping them in melted chocolate. 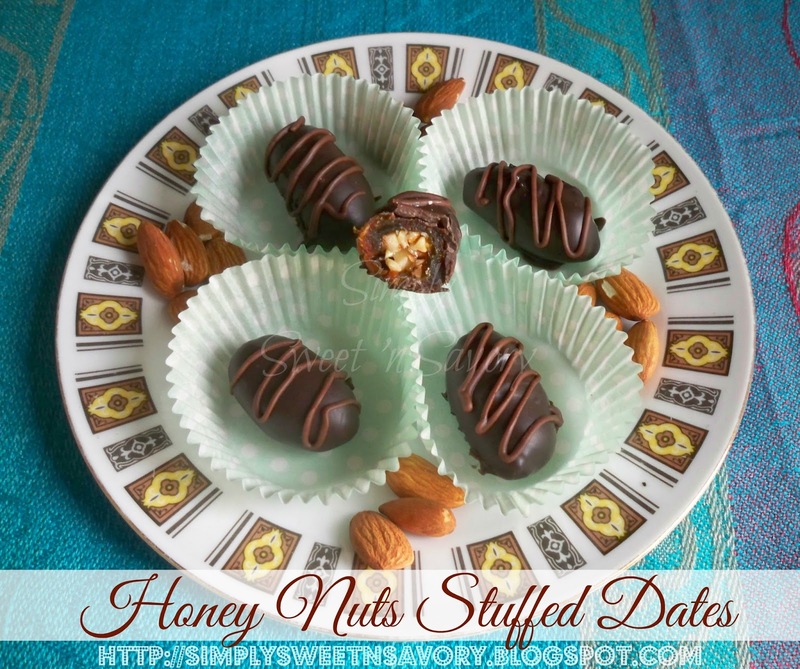 These little bites are perfect as a healthy snack or as a sweet treat to end the meal. These will also be good at Iftar, for breaking the fast in Ramadan. Chocolate Dipped Orange Cookies ... 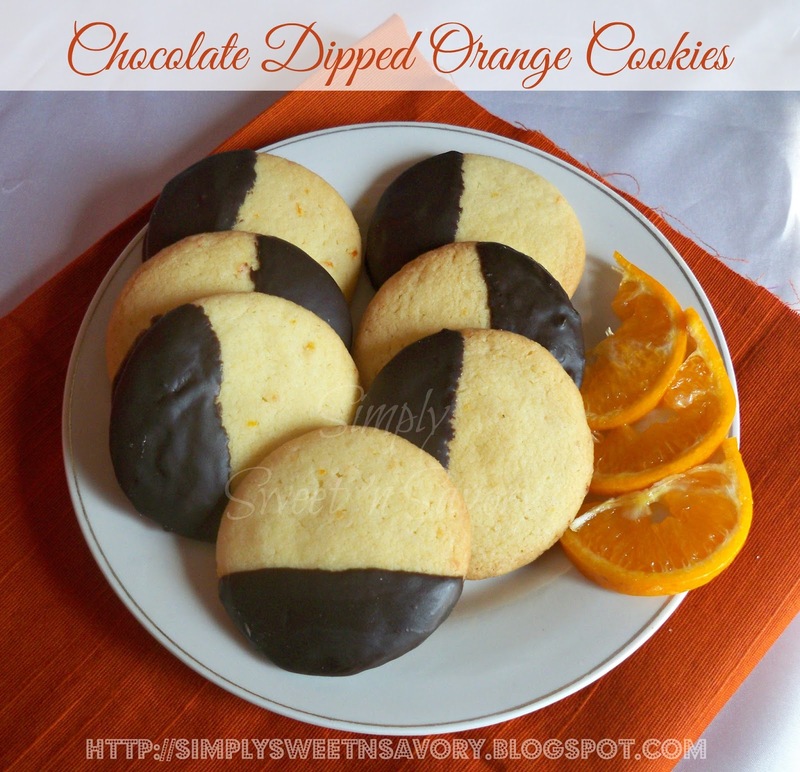 Refreshing orange flavored cookies, made even better by dipping them in melted chocolate! 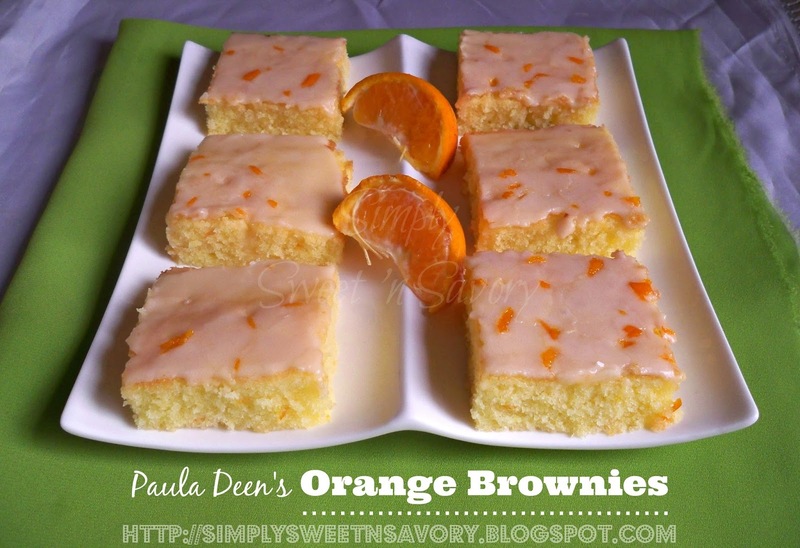 Paula Deen's Orange Brownies ... A refreshing change from traditional chocolate brownie. Light, moist and delicious with amazing orange flavor! Thanks everyone for visiting and leaving your sweet comments. I'm extremely sorry for not visiting your spaces at the moment! Talking of Recipes and Foods, cooking always considered as a hot topic. Cooking in the kitchen with hot stove, pot, oil, onion.. everything 'hot' that let you sweat easily while stirring your gravy in caramelize of onion that surround you in kitchen. That's not only... Cutting the onions also make you cry and burns your eyes. I know there's bunch of non-onions cooking around, but let me tease you. ;) Problem is Asian can't live without onions. (that's truth, not teasing) They use it in their gravy (salan) to Pilao to Biryani to Korma to Kababs... In short it is the part and parcel of their cooking. Today, here at the sweet blog of Ambreen. I'm talking on Cake baking tips and tricks, that I learned from my past experience baking bunch of cakes for family events. I've face number of downfalls in baking and learned while never giving up. There's is so many yet so interesting little little things to consider while baking your favorite and lovely Cake at home. 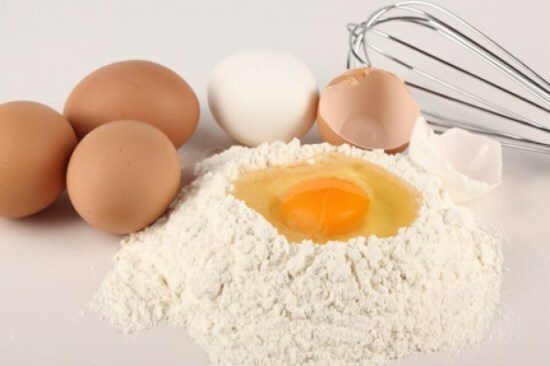 If you fail in getting a step to prepare your batter, the outcome of it won't be perfect as it should be. So, what's these little little things are? 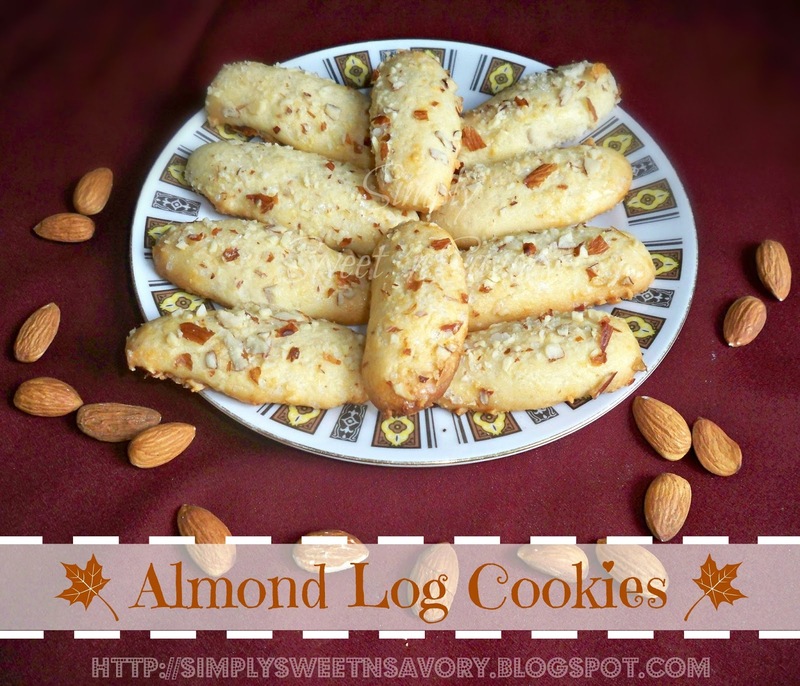 Please join me over at “Ainy Cooks” to check out the recipe of these nutty cookies! Thank you for stopping by. Hope you enjoy the recipe at Ainy Cooks!! !